We will set intention, and open our hearts with the guidance of Cacao, an ancient superfood and plant medicine first discovered in the amazonian jungles of Central and South America. Cacao is simply chocolate in its raw form, nothing added, grown with love in harmony with nature. 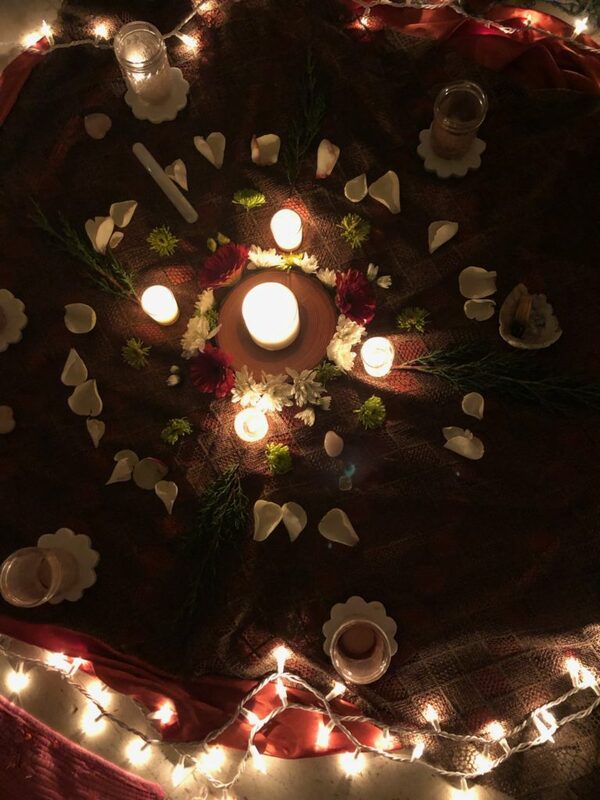 When held in ceremony with respect and intention Cacao is a soft, gentle, grandmother spirit that guides us into our bodies and expands our heart. This heart expansion allows us to Express ourselves from a centered, embodied place, opening us to anything that needs to be felt, heard and worked through. We will be guided through meditation, ceremony and heartful discussion.